With locations in the Atlanta suburb of Sandy Springs, Georgia and Aiken, South Carolina, our home furnishings retail stores are owned and operated by a talented team of seasoned interior design professionals who are available to support you with all of your interior design needs. Established in 2006 in Aiken, South Carolina, Nandina Home & Design offers an edited collection of fine home furnishings, accessories, art, and gifts. The team of interior design professionals will help fulfill your individual style for the home you love. Owners Jim and Susan Victor and Sue Shannon launched the home design store with a belief that beautiful design and real life can coexist under one roof. Their “real life, real style” motto, simplifies the philosophy that kids, dogs, parties, and life do happen and no one needs to skimp on glamorous living because of them. In July 2010, The Nandina team opened a second location serving Atlanta. John Ishmael, who owns and manages the Atlanta shop, joined Nandina Home & Design with over two decades of interior design experience. John also manages the full-service custom workroom providing custom drapery, upholstery and bedding. The team of professional interior designers is skilled in all aspects of design ranging from simple paint and fabric choices to full-scale construction projects. Whether your style is traditional, eclectic, modern or contemporary, Nandina Home & Design professionals have the expertise to assist you in making your home an expression of you. Hart & Lock Design is a full service residential interior design company providing turn key building selections and interiors. Best of Houzz 2014, 2015, 2016, 2017 and 2018! We create smart, stylish, livable homes that serve as a backdrop to the refined lifestyle of top CEOs, urban executives, entrepreneurs, professional athletes and celebrities. Whether it’s a stylish bachelor pad, cultured man cave, a high-tech home office, a custom wine cellar, a handsome cigar room, or enhancing your everyday environment, we know what you need for smart, stylish living. Chosen Interior has been providing custom design work in some of Atlanta’s finest homes since 1996. They provide turn-key solutions, from conception to completion, for your whole home whether it is a small or large project. They have a great team of experienced professionals to finish the job and do it right the first time, creating interiors that inspire you with a professional touch. A home you want to come home too. We care about our work and will not put our name on anything less than spectacular. We listen to you, the client, and use our experience and expertise to bring your dreams and visions to life with a unique custom look exclusively for you. It is characteristic for CC Design Atlanta/Cooper’s Creations to meet deadlines. We are neat and clean throughout the project, and take special consideration of you, the client. We look forward to working with you on your projects. BEST OF HOUZZ 2018 and 2019! An interior design firm that provides personal, custom, and trusted service. Forbes + Masters is a full-service Atlanta-based interior design team that specializes in curating the essence of you or your brand into custom-tailored residential and commercial spaces. Helmed by acclaimed young designers Tavia Forbes and Monet Masters, the firm specializes in collaborating to conceptualize and plan spaces, manage projects and contractors, and source and stage custom furnishings for a variety of clients. Both share an affinity for bold, eclectic designs which marry with the vision, personality and lifestyles of their clients to become personalized and infused with each client’s unique fingerprint. But as individuals, each brings unique strengths to their projects. Tavia brings her business background to craft client budgets and keep spending in line as well as spearheading meetings, proposal presentations and mood boards. Tavia also has a gift for personal connections and spends time getting to know clients on a personal level. Monet is the consummate task master, who oversees project logistics, manages contractors and organizes installations, working behind the scenes to make sure everything is in order. With her design school background, Monet takes the reins on renderings and floor plans. Working with Forbes + Masters ensures the expertise of two designers who share one desire to merge their creativity with the client’s personality. Rather than cookie-cutter designs that reflect the designer’s tastes and preferences, Forbes + Masters individualizes each and every project with their three hallmarks. “Household design seemed to be imprinted on my DNA. This passion along with extensive project management and customer service experience has flourished into a business driven to give customers the home they have always desired. By staying on the cutting edge of design and style, I can guarantee you a space that is uniquely yours.” KMH Home Designs is a Christian Company that strives to capture your vision and transform your home into a haven in which to relax and recharge in comfort and surroundings that inspire. We do everything from color and furniture selection to total home remodels. We are not satisfied until each aspect of the design has been fulfilled to your highest expectation. Partners with Classic & Contemporary Countertop Design. 2012 Best of Houzz Design Winner and 2013, 2014, 2015, 2016 and 2017 Best of Houzz in Customer Satisfaction. Since 2001 KMP Interiors has worked along side clients to create interiors that are not only beautiful, but also comfortable and functional. "When the project reflects the personality of the homeowner, we've hit a homerun." At KMP Interiors my number one goal is client satisfaction. With the belief that the design process can be an exciting and enjoyable one to homeowners, I’m dedicated to completing projects on time, on budget, and with consistently happy clients. KMP Interiors designs living spaces for real people. Real people don’t just like their homes to look beautiful, they want them to function in a way that supports their lifestyles. Real people are unique. Kaala Chakra Interiors, LLC, is founded to enable homeowners to embrace both, today’s modern lifestyle and one’s culture in their homes. Having lived and worked in a few countries, I understand the importance of how one’s culture influences the way we live, work and play. I pay great attention to this aspect when designing any interior space. I also believe that one deserves to live in a home which enriches their state of wellbeing and lifestyle and I ensure my clients live it every day. Feel free to call me and I'd love to assist you. Catherine Talkington, Interior Designer, created Ca’Shae Interiors with the intention of bringing original interior design and impeccable services to her discriminating clients in Atlanta. Catherine focuses on applying timeless design principles from classical, traditional, transitional to contemporary floor plans and lifestyles for new construction and major renovations. RSZ's FIRST QUARTER OF 2019 IS BOOKED! WE ARE NOW ACCEPTING PROJECTS TO START IN AUGUST 2019. We have over 19 years of professional experience design, décor, renovations, staging and project management. We truly believe your home or special space should be a reflection of you, your lifestyle, your taste and definitely your personality. Your space should be a sanctuary where you retrieve for peace of mind, relaxation, family time, joyful moments with friends, and definitely a place where you detach from the hustle and bustle of everyday life. This space should feel comfortable, welcoming, soothing and charismatic. When we meet a new client, or help a repeat customer, we always envision creating a space that our clients love to live in; with the perfect balance of color, lighting, furniture, fabrics, textures and décor that truly reflect s exactly who they are. We think anyone can design, decorate and create a beautiful space, although sometimes this process may seem overwhelming for some. Our goal is to provide leadership, knowledge and guidance and to get to the bottom of each of my client's desires and wishes in order to create a space where they can feel at ease, peaceful, happy, and proud of. In addition to our design and decorating skills, we have over 25 years of business development, logistics and project management experience. Our leadership skills coupled with our extreme attention to detail, extraordinary organizational skills, considerable knowledge of materials and products, and our abundance of resources and connections in this industry plus, our ability to fluently communicate in English and Spanish, makes us a key element and a must have ally in any construction, remodeling, project management or design project. Best of Houzz 2014 - 2015. J. Hirsch Interior Design has been designing award-winning interiors for over 26 years. Janie Hirsch, ASID graduated from Louisiana State University with a Bachelor of Interior Design from the School of Architecture and was selected as one of Atlanta Homes & Lifestyles Top 20 Under 40 annual list of emerging talent. Janie, a Louisiana native and the daughter of an architect and watercolor artist, landed on her feet in Atlanta following a stint in New York City working for a lighting designer. As a registered Interior Designer, Janie's approach to design is collaborative and reflects her clients' personalities and lifestyles. The signature of J. Hirsch Interior Design includes an eclectic combination of classic furnishings and antiques with a strong connection to architectural elements. 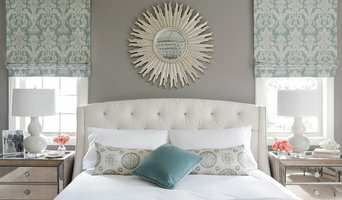 She also uses color as a neutral, along with texture and pattern to bring a quiet sophistication to client’s homes. Her style is tailored and timeless. The end result is a design that is inheritable and ages gracefully. Janie Hirsch’s designs have been featured in Traditional Homes, Southern Accents, Beautiful Homes, Décor, Decorating, Atlanta Homes & Lifestyles, Atlanta Magazine’s HOME, New Home, Decorati.com, Remodel, Home By Design, Atlanta Style & Design, Atlanta Life Magazine, Atlanta Magazine, Flavors, Points North, and Women’s World magazines. She is also featured in four cocktail table books, Showhouse Review, Green Living by Design, Interiors Southeast, and Luxurious Interiors. Feel free to reach out to us, we would love to hear from you! 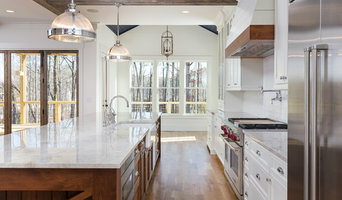 Atlanta's Experienced Renovation and Design Expert | Best of Houzz! Best of Houzz award winner, RL Interiors is a residential and commercial design consulting firm founded on the principals and skills gained in my 20 plus years experience in the interior design industry. My expertise extends to new construction and renovation projects as well. As an interior designer, I have established long term relationships with vendors, subcontractors and other design related resources to create and plan the perfect space for you. Whether you are building a new home, renovating a bath or kitchen, redesigning a space in your home or office, let me implement and manage your design project. My goal is to create a beautiful and functional space that you are proud of and can enjoy spending time there with family and friends. What are you waiting for? Let's begin telling "your story" and create a space where you can "pause and relax" and spend more "Me and family time". That being said, let's finish your space with custom furniture, finishes and textures that will be unique to you. Time is a valuable commodity. Let me take one or more of your "to do list" off your shoulders so that you can come home to a retreat where you can enjoy spending your valuable time with family and friends. As an interior designer, I will take the stress out of the design and decision making process in creating your new space. Clients are my priority and I work closely with them to understand their wants and desires as well as lifestyle. My mission is to make your visions a reality by designing a unique and timeless space that is a true reflection of your individual tastes. Atlanta's Luxury Interior Designer | 6x Best of Houzz Winner! AHT Interiors is the turnkey North Atlanta design firm with a reputation for creating memorable living spaces. Welcome to Great Spaces Houzz page, we're glad you're here! Throughout the years we have been helping homeowners and builders alike create spaces that people love to come home to. It's all because of one simple belief...We think that "Home" is the most important place on earth. No matter what it is that fills your days...taking care of kids, a husband or a boss we all have an overwhelming list that never seems to end. Once we get the people part cared for, the household part is still standing there calling out for attention. The world is a crazy busy place these days and everyone needs a respite. A home that reflects it's inhabitants and provides a sense of calm and wellbeing is the balance that we all need to live happy, healthy lives in modern day America. That's what Great Spaces is here to do. We actually get to know you by listening to your needs and wants and then translate those into updated spaces that give you your "I can't wait to get home" feelings. Whether it's new home furnishings and decor, remodeling or building a brand new home from scratch we can help. We have extensive experience in everything from redecorating your living room to designing award winning luxury homes. You can rest assured that your home is in good hands. Finally, the most important thing for us is that we leave your home better than it was when we got there. Quality and value are words that mean something around here. We know the difference in good and bad products and workmanship. Ask our references...we believe that quality products, services and workmanship leave behind a lasting sense of money well spent that translates into real value and security for a homeowner. That's what we're about at Great Spaces!